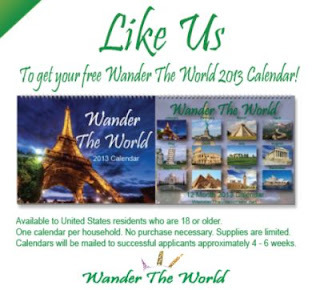 Like them on Facebook to get a free Wonder the World 2013 Calendar. Available in US. Must be 18 or older.